Dr Turner’s Dental implants are artificial tooth root substitutes placed in the jaw bone by a team of dedicated implantologists like Dr.Turner’s and associates to replace the natural tooth roots in an area of the mouth where teeth are missing. Dental implants are the only solution that come as close as possible as regards comfort aesthetics and stability similar to your missing natural teeth. When you lose a root tooth due to periodontal disease ,unsuccessful root canal or any other injury the bone that previously was supported by that root begins to shrink a process termed as “Resorption”. 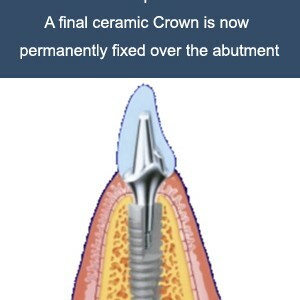 However we can now preserve the bone by replacing the tooth roots with Dental implants.The bone forms a strong bond with the dental implant which serves the same function of the natural tooth roots as regards a strong foundation for chewing and eating and most importantly the bone height is preserved as the bone now grows over the implant. Dental implants are small Titanium posts which are biocompatible to bone and have been used successfully (97.5%) used over decades. Dr.Turner and their team have used dental implants for over 25 years with astounding success rates of (98%). Life leaves traces that can mar your everyday existence.. an accidental fall, extensive caries (tooth decay), that make your teeth unsalvagable, and most commonly periodontitis which is extensive generalized loss of bone around teeth also called severe or advanced periodontitis. All this can cost you the loss of your teeth leaving behind ugly gaps, loss of functional chewing and a compromised social life. We at dr turners believe the first step towards digesting of your food which gnashing and crushing of your food begins in the oral cavity. loss of this could lead you to swallow the food and cause inefficient digestive function, indigestion and other abdominal problems. Sliding dentures during eating or speaking can be rather embarrising and further more we consider dentures as oral wigs. dentures are not supposed to be in your mouth. Studies have clearly showed that wearing dentures over a period of time can cause loss of bone called bone resorption. The work of the bone is to anchor your tooth firmly. bone requires constant stimulation which is provided by the tooth.when the tooth is lost, bone loses this stimulation. now the bone has no work left to be done. it begins to dissapear, undergoes resorption or disuse atrophy boneless. Our motto at dr turners is when you dont use bone you lose bone. But a dental implant is akin to a tooth. It stimulates the bone around it and preserves its height and width and at the same time preserves your lost functional capacity to chew. Now theres no need to face these situations bravely. Today we have the best and most reliable and comfortable solution: dental implants. Dental implants are made of pure surgical grade titanium which is highly biocompatible with the body tissues, and our bone recognises as its own. dental implants are placed in the bone in place of the missing tooth root which then firmly osseointegrates (fuses) with the bone and hence last a lifetime. The tissue care connection and the micro rough implant shoulder allow for subcrestal placement. In combination with the horizontal offset and the concave abutment design, a chamber for soft tissue and bone is created, supporting tissue stability.in combination with absence of micromovement and the prevention from bacterial ingrowth, this enables long term tissue maintenance. The ankylos implant has a special surface that is grit blasted and high temperature etched friadent plus microstructure that enhances the bone healing allowing faster and rapid bone apposition around the implantwith a stronger bond between the implant and bone with faster and quiker healing time . 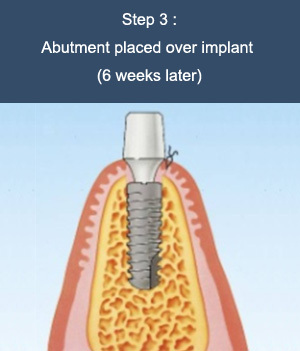 The primary stability of the implant spells the difference between the success and failurein an implant.the this results in early osseointegration and high bone to implant contact and primary stability allowing for immediate loading. 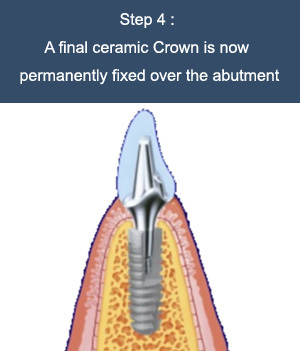 All abutment sizes share one tapered connection simplifying the treatment protocol .A Precision fit steep connection taper promotes friction locked and keyed stability between implant and abutment eliminating micromovement between the implant and abutment and mechanical and bacterial irritation that might lead to bone resorption. It also provides the unique freedom of non indexed prosthetics with an indexing option. The progressive thread design transfers the functional load to the apical part of the implant and creates primaary stability aloowing for immediate loading. Why the ankylos dentsply system is the worlds leading system with 30 yrs of clinical research and studies behind it. When you lose your natural teeth you want a replacement that comes as close to it in looks comfort and restoring your smile.Dental implants are the state of the art solution that look and feel exactly like your natural teeth. Dental implants prevent the bone loss that occurs with loss of tooth/teeth.Therefore they maintain the support for facial muscles prevent them from losing tonicity and the appearance of wrinkles especially in a person who has lost all their teeth restoring youthfulness. Normally, the bone tissue surrounding the root of your tooth is maintained by your body’s natural renewal process. However, if you loose a tooth, you will be left with a hole where your tooth root used to be and the bone around this area will slowly begin to disappear (atrophy) which may change the shape of your jaw. A dental implant placed in that area can actually stimulate bone growth and production, preventing loss of valuable bone structure. 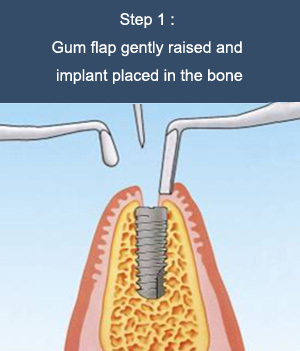 In some patients where bone loss is substantial, a bone graft may be required before placing a dental implant. Bone loss is a problem for people who have dentures, and as the shape of the jaw slowly changes, the dentures need to be adjusted or re-made to fit the new shape of the jaw. Bone loss can also make a person look older, since the area around the mouth can sag as bone is lost. But implant supported crowns/bridges function independently without touching the natural teeth, such that the natural teeth are not compromised, or damaged. Overall quality of life is enriched with replacement teeth that look, feel and function as natural teeth. Eat better- all kinds of sticky, chewy foods which was once impossible with regular dentures that would be unstable and simply rest on the bone. Also when you chew better your food is digested better and overall health of the person is improved. No more rocky ,unstable dentures and fear that the denture might come off during that may be socially embarrassing. 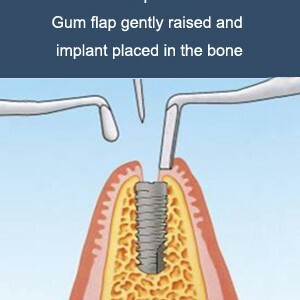 Implant supported teeth stay firm in the mouth. Dental implants are highly predictable and should be the first choice in replacing missing teeth as their success rates (<98%).They are safe, reliable and a long term solution .There is never a risk of an implant getting cavities or decay! Nearly anyone who is in good general and oral health is a candidate for an implant. 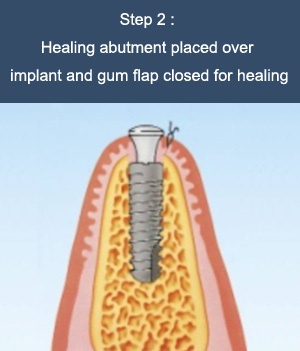 There are no absolute contraindications for an implant. Age is never a contraindication! 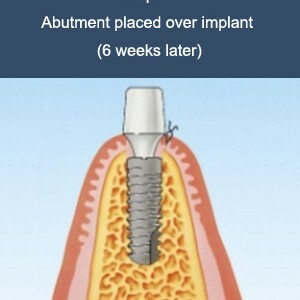 Anyone who wants to improve his/her quality of life is a candidate for an implant. 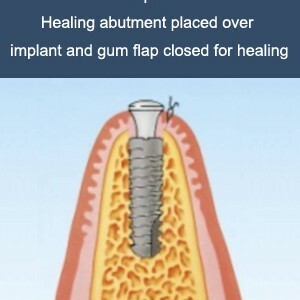 We at Dr. Turners’ Dental Implant Center have restored a 89 year old lady’s mouth. She now has a renewed zest for life! Scientifically and clinically proven for maintaining hard and soft tissue over time, the implant tissue care concept is the combination of unique features of the Ankylos implant system.